A Dev community that every dev needs! Have you ever been programming and just need someone or something to express your debugging frustrations towards?!?! If you have been programming long enough you probably experience this on a daily basis. 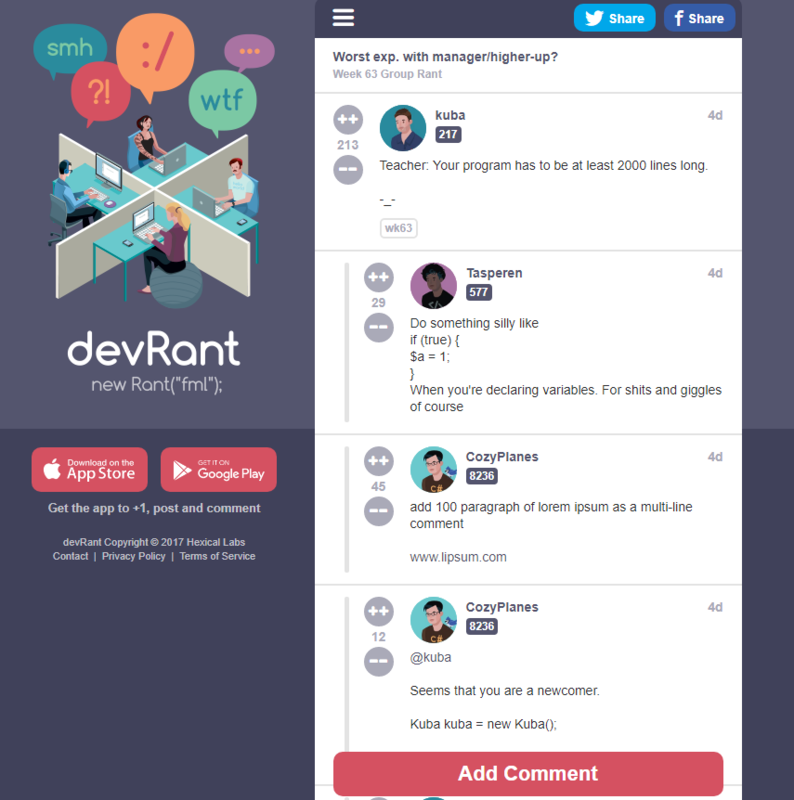 To save your cat, mouse, or keyboard from total abuse or destruction that’s where Devrant https://www.devrant.io/ comes in. This app let’s you express all frustrations related to programming with a community base, which feels your pain. It’s kinda like AA for devs. The best part it is developed and ran by onky two guys. Who have done such a great job letting users express the ever sorrows of the developer’s soul.